You may have heard me mention that the first review (from my end, at least) was actually going to be a three-fer, because I COULD NOT STOP reading Abigail Reynolds books last month. Or rereading, rather. Seriously. This was just the tip of the iceberg. 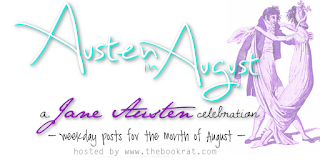 But since this month is Austen in August, not Abigail in August, I decide to narrow down the review to three books I read (or reread) that needed some talking-about. Since settling on these three, I have read a few more, including a newer title that MY GOD, I HAVE THINGS TO SAY, so maybe we’ll have another Reynolds 3-fer (or four-fer, or…) in next year’s AIA. 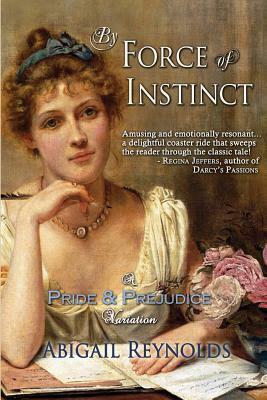 But until then, here’s what I had to say about By Force of Instinct, Mr Darcy’s Noble Connections, and the first of her modern books that I’ve read, The Man Who Loved Pride & Prejudice. Check out my thoughts below, and more info on the books below that, and let me know your thoughts in the comments! And if you’ve read any by Reynolds, or have similar books to recommend, let me know that, too! In Jane Austen's classic Pride & Prejudice, Elizabeth Bennet never expects to see Mr. Darcy again after his disastrous proposal in Hunsford. But what if family business required him to stay at Rosings after giving her his letter? 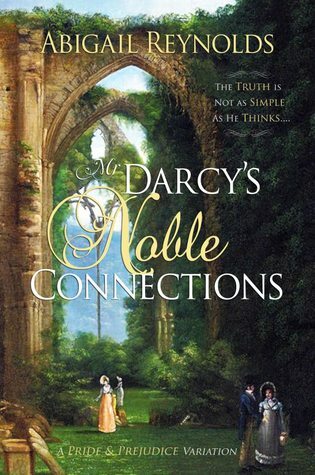 Coming face to face with Mr. Darcy only days later could give Elizabeth a new chance to understand him... or a chance for even more misunderstandings. Notorious rake Lord Charles Carlisle and his cousin, Fitzwilliam Darcy, can can only agree on one fact: a house party at Bentham Park is bound to be intolerably dull. To relieve his boredom, Lord Charles takes a bet that he can seduce his sister’s pretty friend. After all, it’s easy money for an experienced seducer. Why should he care if his staid cousin Darcy disapproves? But Lord Charles’ target is none other than Elizabeth Bennet, the woman who just refused Darcy’s offer of marriage. 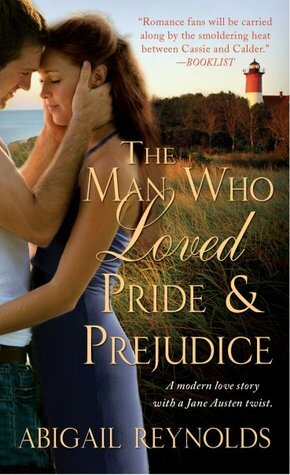 Darcy cannot stand as his cousin tries to ruin the woman he still loves. But Lord Charles has a dark secret, and his attentions to Elizabeth may not be what they seem. After a midnight rescue, clandestine meetings, a long-lost son, conspiracies, blackmail, and an attempted elopement, everyone can agree this house party is anything but dull. Marine biologist Cassie Boulton has no patience when a modern-day Mr. Darcy appears in her lab on Cape Cod. Proud, aloof Calder Westing III is the scion of a famous political family, while Cassie's success is hard-won in spite of a shameful family history. When their budding romance is brutally thwarted, both by his family and by hers, Calder tries to set things right by rewriting the two of them in the roles of Mr. Darcy and Elizabeth Bennet from Pride & Prejudice...but will Cassie be willing to supply the happy ending? I liked each of these and did like Force of Instinct. The Letter by Abigail Reynolds was a very interesting variation. Lizzy never reads the letter Darcy gives her explaining about Wickham's relationship with the family and how that effects Darcy and Elizabeth later. Ooh, I hadn't heard of that one! I'll have to look into it, I don't think I've heard of anyone taking that tack. Yep, I've loved each of these and her writing over all. It's been a while and now I feel itchy to pick these up again. Man Who Loved Austen is one of my all-time favs. After I manage to read all her later releases that are just setting on my kindle, I'll have to go for a re-read. Sometimes I just need a serious Abigail Reynolds binge, and there's nothing to be done for it. Can't be cured.